The Victoria Console is another classic, elegant design from Philipp Selva, absolutely unique in quality and styling. The stunning shaping is the first thing to catch your eye, with it's half moon table top and the beautiful curved flow of the adjoining legs which sit beautifully on a stepped semi circular base. The striking glossy cherry wood veneer is luxurious in its smooth, warm surface, a perfect platform to display a striking lamp, contrasting vase or cherished photos. 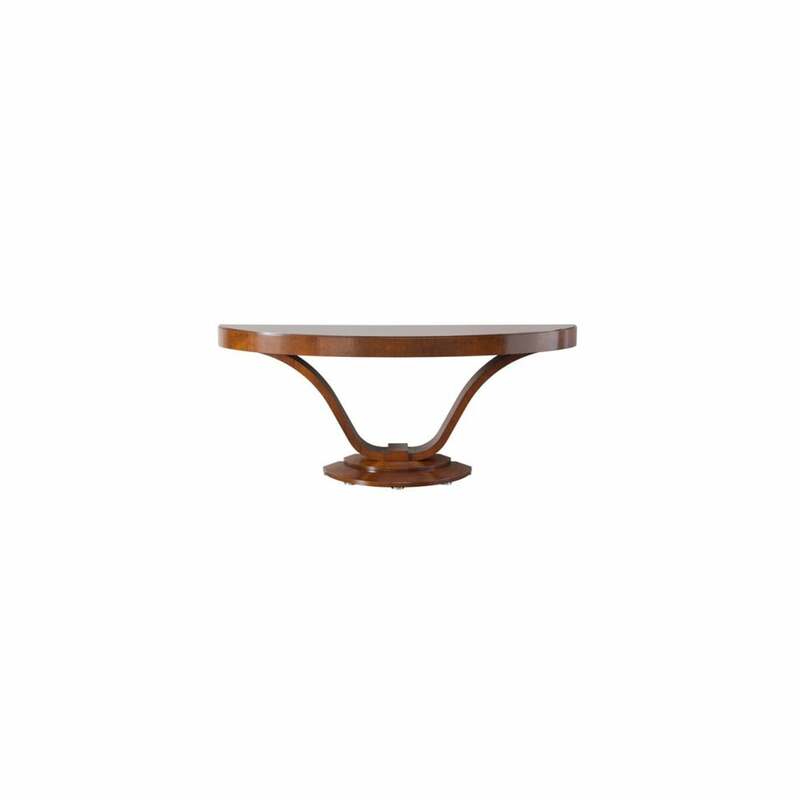 You also have the option of a leather table top for that further element of contrast and luxury. A stunning addition to your space, set against an empty wall or tucked into an alcove, create your perfect style.